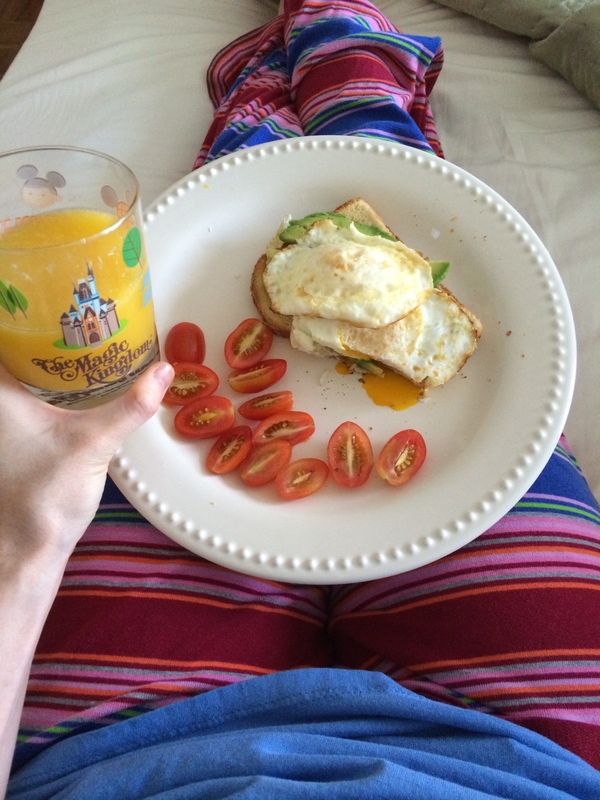 breakfast in bed! Most thoughtful husband award goes to…MIKE! Such a love. 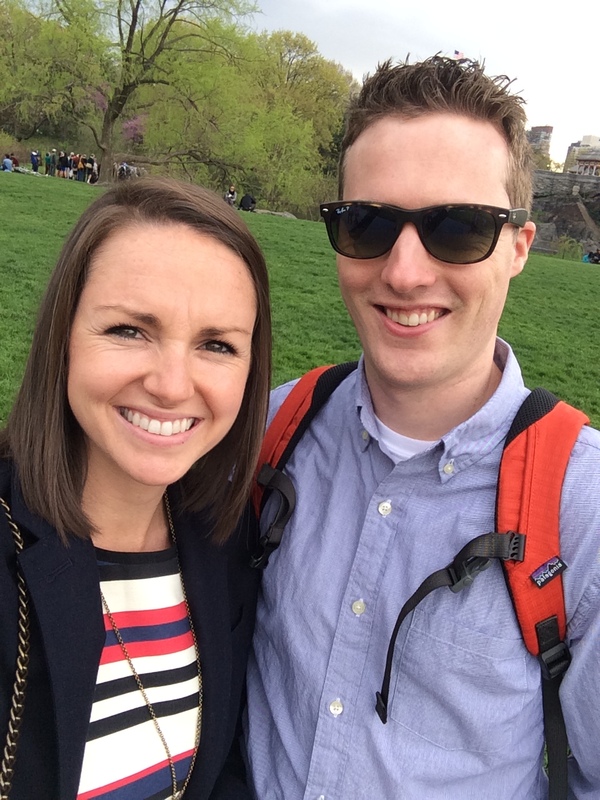 The weather was beautiful yesterday so Mike and I decided to walk across town through Central Park to my school to drop off the meds before the Auction. The walk through the park was lovely and there were tons of people enjoying the weather and the one square of grass that exists in this city. Mike carried a backpack with the meds and an icepack for the Gonal-F. We got to school, put the drugs in the fridge and headed to the Auction. NYC school Auctions for those of you who don’t know, are events where businesses donate items and the school children make projects which go for thousands of dollars. 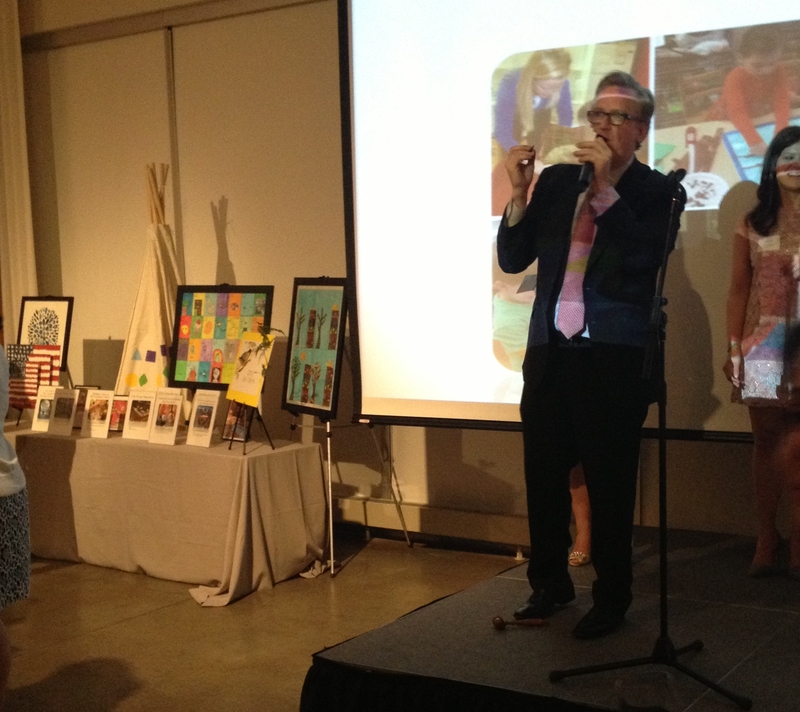 This was Mike’s first Auction and he was amazed that the teepee, see it in the back left of the picture, went for $8,000. 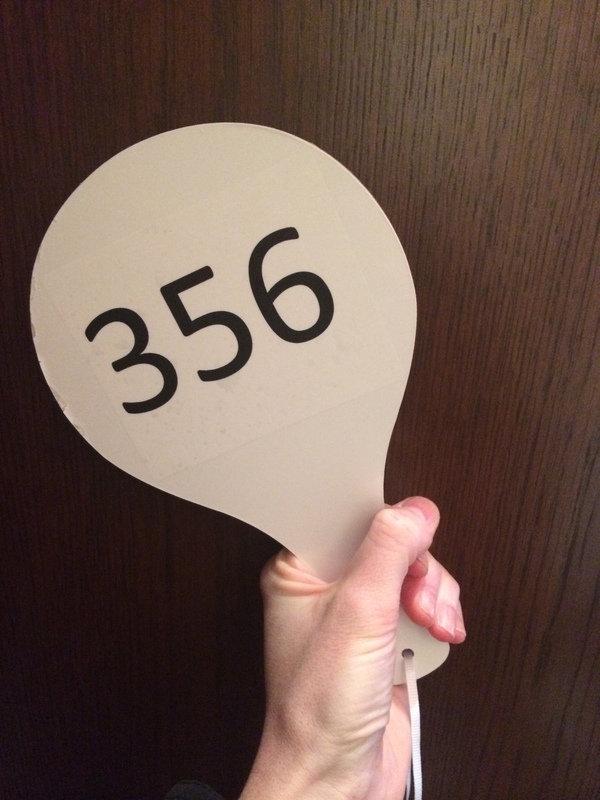 Our paddle number was 356…and it did not make an appearance last night. Sleep: Went to bed when we got home form the Auction at 11pm. Not looking forward to: Tonight’s menopur shot. Last night we iced my belly for only 3 minutes and that seemed to make the menopur less painful so we will do that again and cross our fingers! Looking forward to: The salmon we are making for dinner tonight. Yesterday I mentioned our diet and how we are trying to eat more veggies. 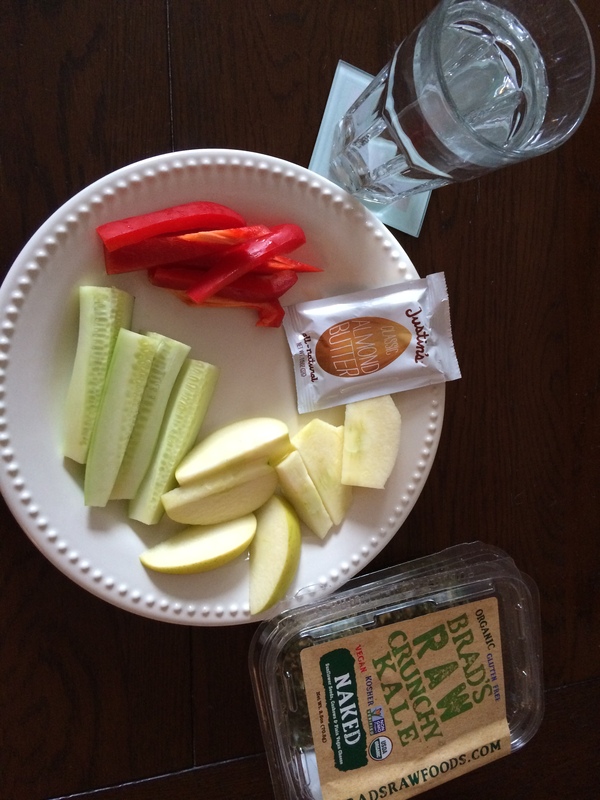 Red peppers, cucumber, Figi apple with Almond butter and raw kale chips. Mike is not a fan of the kale. Next Party on the right!